Write your first song! 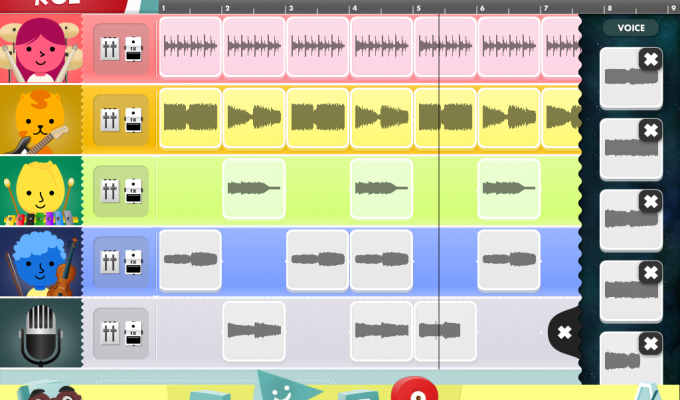 TOC AND ROLL is the first app developed by minimusica. This powerful tool has been designed to help children start composing songs and cultivate their creativity in a funny and easy way. 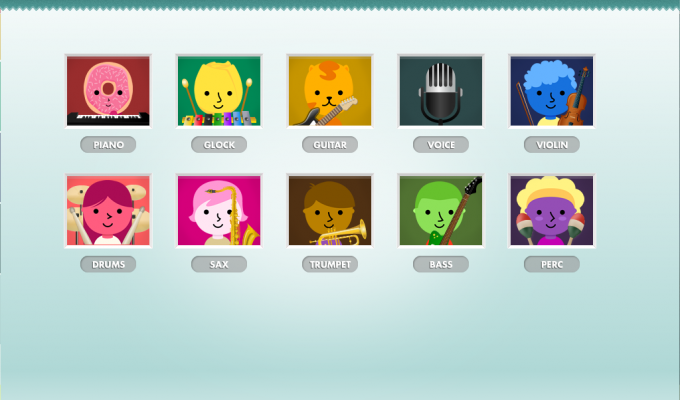 Like a portable studio, TOC AND ROLL gives children the chance to mix different instruments on a virtual multitrack. They can add effects, record their voices, and then share the results with the world. I was very surprised that the picture book was designed to express music. Instrumental sounds are produced when you touch the illustration of the music wave. It feels pardonable incorporating synthesizers in a picture book. You can even combine the sounds freely. It makes me want to fiddle around with the app. I will be happier if the user was able to make their own music and make it as a BGM of the picture book.